Growers are planting the Cosmic Crisp for the first time this year. The Cosmic Crisp apple, a WSU creation, may quickly become the new star in the apple growing industry. The variety has been two decades in the making, and Washington growers planted it for the first time this year. About seven million Cosmic Crisp trees will be planted within the next three years, said Dave Allan, one of the owners of Allan Brothers, Inc., a company that began growing the apple in conjunction with WSU’s breeding program in 2008. He said about 11 million boxes of apples will be collected over that period. The first apples will be available commercially in 2019. Developed through a project that began in 1997 with since-retired Bruce Barritt, who was a lead breeder for WSU, the Cosmic Crisp is a cross between the Honey Crisp and Enterprise apple breeds. 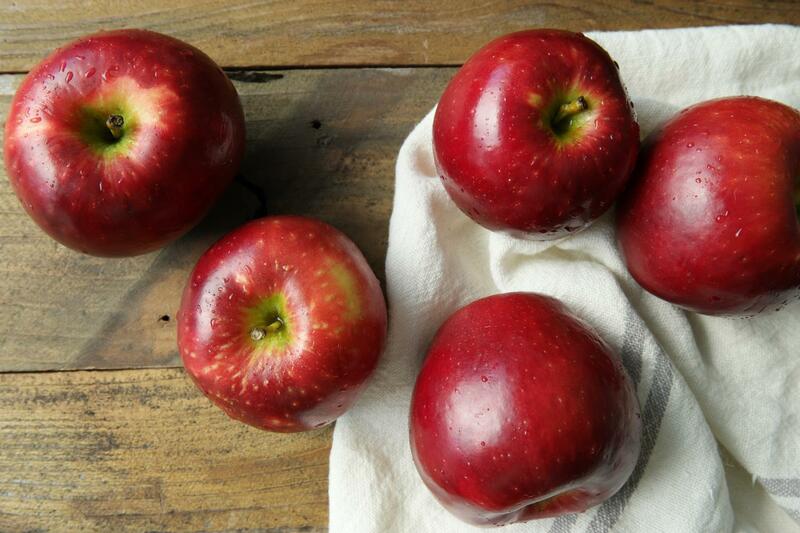 The Honey Crisp was utilized to give the apple its crisp, sweet taste, with Enterprise providing the more aesthetic red skin with white speckles. Allan Brothers, Inc. began growing the Cosmic Crisp when it was in stage two of development, before anyone knew whether its tree, designated WA 38, was going to pan out and produce quality apples. The failings of the current apples available to consumers — specifically for Red Delicious, which currently makes up 28 percent of the market — are behind the industry’s craving for something new, Allan said. Mainly, the apples currently at market are not selling for a premium and therefore are not meeting growers’ bottom lines to turn a profit. Kate Evans, the breeder who took over the project from Barritt in 2008, said no matter the circumstances, growers in Washington are always looking for new apple varieties whose harvesting they can stagger through July to November. The harvest for Cosmic Crisp is in late September. Each Cosmic Crisp tree is propagated from a bud taken from the mother tree, WA 38, and grafted onto a second tree’s rootstock, Evans said. Because the buds are extracted from only a single source, a drawing was taken to establish the order of who got the limited number of plant materials first. Thanks to intellectual property rights and Washington growers’ association with the WSU breeding program, Washington growers have the exclusive right to grow the apples in the U.S. for the next 10 years. The “Cosmic” part of the name comes from consumer focus groups brought together by Proprietary Variety Management, a business whose work with WSU consists of commercializing new fruit varieties, said Cristy Warnock, who promoted the Cosmic Crisp in Washington and around the globe beginning in 2013.